1. Importance of your credit score and how credit Credit Repair can help you. With credit scores driving everything from interest rates to insurance premiums to job offers, a good credit score is possibly the biggest boost you can give your financial life. Good credit score could save you and your family thousands of dollars. 2. CAN MY NEGATIVE ITEMS BE REMOVED? You as a consumer have the right to question any items that you think are inaccurate, incomplete or misleading. You can also request the credit agencies to remove any outdated items. If the credit bureau can not verify, it must be removed from your credit report. 3. WHAT Does “ACCURATE” Mean? Accurate means absolutely free of errors, and not inaccurate, incomplete, misleading unclear, ambiguous, or outdated. Verifiable means that the creditor can verify the validity of the information reported. Any information that can not be verified must be removed from your credit report. 5. WHO DECIDES WHAT IS QUESTIONABLE? You decide what is questionable and have the right to dispute it in accordance with Fair Credit Reporting Act. 6. CAN ANYTHING BE DONE TO REMOVE ACCURATE ITEMS? You can only dispute items identified as inaccurate, incomplete, or outstanding, but no consumer has the right to have accurate, current, and verifiable information removed from their Credit Report. 7. Are All Credit Repair Companies Legal And How Much Do They Charge? Lexington Law is one of the leading companies with legal experts work with you to help you repair your bad credit report and scores. 8. What Is A Credit Report? A Credit Report is a summary of one’s past credit history, public records, and their potential estimated credit worthiness. Everything begins with an individual’s Credit Report. The reason individuals seek out these services is to repair Credit Report problems which are typical items on their reports identified as being inaccurate, misleading and unverifiable. Experian, TransUnion, and Equifax are the three main national Credit Reporting Agencies that maintain these records and data. Each of these Credit Bureaus works independently from each other to gather information from Lenders and Creditors and other businesses with the intention to maintain accurately and up to date consumer credit profiles. This information is then requested by other Creditors, Lenders, Insurers, Employers, and Landlords to be used in evaluating an individual’s financial responsibility. CreditUmbrella.com then stores Credit Report Data from each Credit Bureau which allows you an individual to create Dispute Letters, simply by selecting items directly from the Credit Reports. 9.How Do I Obtain A Copy Of My Credit Reports? You are entitled to receive a free annual copy of your personal Credit Report from each of the three major Credit Bureaus, which include Experian, Equifax, and the TransUnion. You can request their free copies by visiting AnnualCreditReport.com or by writing to each of the Credit Bureaus individually and requesting a copy. 10. How Do I Identify Negative Items? Once you have identified all the inaccuracies, it is then time to enter them into the CreditUmbrella program and generate powerful disputes and begin the Credit Repair process. You can challenge just about every negative item listed on your credit report that you believe is inaccurate, incomplete or outdated and should be removed or corrected. Credit Bureaus have thirty (30) days to investigate your request and make changes on your Credit Report. If the credit bureau cannot verify that a credit item is accurate and timely, it must be removed from your credit report. 11. What Is A Derogatory Account? Derogatory Accounts consist of any accounts on your Credit Report that goes against your Credit Score due to late payments, missed payments, accounts that were charged off. 12. Is Repairing Your Credit Legal? As a consumer, you have the right to question any information on your Credit Reports that you feel may be misleading, untimely, inaccurate, incomplete, ambiguous, unverifiable, or even questionable. If an item cannot be verified, then it must be removed. Credit Umbrella has a simple step by step approach that helps you dispute and remove those inaccurate and questionable items that lower your overall credit score. Credit Bureaus Will Offer Me To Dispute Items On Their Website. What Is The Difference? Although it may seem convenient, it may not be in your best interest to use the online disputing service provided on credit bureau websites. If you dispute items online on a credit bureau website, your dispute will be sent to a computer for analysis via computer for analysis via the eOscar system and become a 2 digit code without you having any record of the dispute on hand. Also, certain information within the listing such as inaccurate wrong balance or wrong date account was opened, etc. When a person declares that they have “bad credit,” this usually means that they have an unfavorable credit rating or unfavorable items on their personal credit report which makes it difficult and expensive to obtain loans and new credit. However, disputing items on a credit report is the fastest way to bounce back from bad credit or bankruptcy. 14. What Can Specific Items Be Removed From My Credit Report? Inaccurate Accounts, unauthorized inquiries, incorrect public records, incorrect late payments and other errors. The law states that if the credit bureaus are unable to validate the accuracy and completeness of an item, then they are required to remove them from your credit report. To further clarify, this doesn’t mean that every negative item can be removed from every credit report, but Credit Umbrella offers you the best chance for success. 15. What Is The Overall Savings I Can Expect To Save By Improving My Credit Report? Lowering rates on your mortgage, car loans and even credit cards are huge incentives to improve your credit score. Simply increasing your score by a hundred points could save you from $300 to $500 a month. Add those hundreds of dollars month after month and you can end up saving thousands of dollars over the years. 16. Can Anyone Remove Negative Items From Their Credit Report? By law, anyone and everyone can easily and successfully dispute and remove inaccurate and questionable negative items from their credit report. You have the right to question any information on your credit reports that you feel may be misleading, untimely, inaccurate, incomplete, ambiguous, unverifiable, or even questionable. If an item cannot be verified, then it must be removed. Credit Umbrella has a simple step by step approach that helps dispute and removes inaccuracies so you can get your best credit score. 17. What Happens If Every Item On My Credit Report Is Accurate? If you feel a negative credit item is 100% accurate and timely, you do not have the grounds to question this item with bureaus. Only the passage of time can assure bureau removal. However, also realize that you can dispute items if there are any inconsistencies on your credit report. For example, if an item is listed as “60 Days Late,” however it’s closer to “40 Days Late” then you can dispute this item. If the credit bureau can’t validate the item, they will have to remove it from your credit report. 18. How Is Personal The Information On My Credit Report? There are basically four categories of information on your Credit Report, in addition to your name, address, and employer. These four categories are Collection Accounts, Merchant Trade Lines, Inquiries and Court Records. This information is then compiled to generate your Credit Score. When an account is delinquent, it appears on the Credit Report as a Collection Account. They can be listed as paid or unpaid and is considered very negative by potential Lenders. All Credit Cards, Department Store Cards, Auto Loans, and Mortgages are considered Merchant Trade Lines. If there are any Bankruptcies, Charge Offs, Late Payments or Repossessions, these are also considered very negative by potential Lenders. Whenever a potential Lender reviews your Credit Report, it is recorded as a Credit Inquiry. If you have too many inquiries over the last two years, this can be considered very negative by potential Lenders and they may deny you credit. All Bankruptcies, Divorces, liens, Satisfied Liens, Judgments, and Satisfied Judgments are all included on your Court Records. All of these are considered to be negative by potential Lenders. 19. How Long Does An Item Appear On My Credit Report? Most major negative credit items remain on your credit bureau file for no more than 7 years, as mandated by the Fair Credit Reporting Act, (FCRA). Bankruptcy is the only exception which can stay on your file for up to 10 years. Inquiries may remain on a credit report for up to 2 years. Keep in mind that these are the maximum time limits that these items can appear on your credit report. Your creditors, or even the credit bureau, can choose to have these items deleted whenever there is an acceptable reason to do so. You do not have to suffer from inaccurate credit for seven to ten years. As long as you think that the information on your credit report is inaccurate you can dispute for accuracy or verifiability of your questionable credit listings. Millions of people reported having inaccurate information in their credit report including misleading and inaccurate public records. Identity theft, mistaken identities, and many other factors can result in showing up on your Credit Reports when it should not be there, destroying your personal Credit reputation. According to recent reports, as many as 79% of consumer credit files contain inaccurate items. Inaccuracies, especially ones that are harmful to your credit scores, can lead to higher interest rates on loans and credit cards or denials for new credit. Credit Umbrella’s main focus is to provide you with a powerful software that contains powerful dispute letters and credit repair training videos so you can dispute and remove those questionable and inaccurate items from your credit report. 20.Who Creates My Credit Report And How Do They Do It? Credit reports are comprised of not just how you are currently managing your credit accounts, but the history of everything you have done in regards to your credit over the last 7 to 10 years. Your credit history is recorded by a credit reporting agency known as a credit bureau. Currently, there are 3 major credit bureaus; Equifax, Experian, and TransUnion. These credit bureaus receive your personal information from the same lenders who would give you credit. These lenders have an agreement to report everything that happens in your history together. For example, if you make a late payment, this negative information is quickly reported and added to your credit history. The credit bureaus are not affiliated with the government, but rather are companies that operate with the goal to earn profits. Their job is to compile the information received by lenders and create a credit report. They make their money by selling these reports back to future lenders, potential employers and even the consumers themselves. When you apply for credit from a lender, they will typically order a report from one of the 3 major credit bureaus. (Most small credit bureaus are affiliates of one of the major 3.) The lender then reviews your credit report looking for any negative items such as late payments. The more negative items on your credit report, the higher interest this lender will decide to charge, or they may even reject your application for credit. Your credit report will ultimately decide if you qualify for the loan, apartment or job of your choice. 21. How Bad Does My Credit Report Need To Be Where I Will Be Denied Credit? There is no precise science when it comes to deciphering a credit report. Any negative item on your report is bad, such as a late payment, no matter how many positive items you may have on the list as well. 22. Who Will Ultimately View And Evaluate My Credit Report? Prospective creditors, landlords, employers and even insurance companies will often review your credit history before proceeding with their business with you. 23. Can You Explain The Difference Between R1 And R9? R1 is a note left by your creditors indicating that you have a revolving account that is in good standing. R9 indicates that you have a revolving account that is in bad standing. There are other account classifications your creditors can add to your credit report, consisting of 2 parts; the account type and the account status. “I” refers to an individual account, “M” refers to a mortgage account and “R” refers to a revolving account. Regarding account status, the number “1” is the best status rating you can receive and “0” indicates that there’s not enough history on which to base a judgment. Anything from “2” up to “9” is negative and indicates that you have had a problem with this account. These ratings are not as critical, however, for we’ve found that most potential creditors are looking more for late payments, collections or charge offs. 24. Can You Explain The Term “Charge Off “? If there has been no payment on a debt after one hundred and eighty (180) days, a creditor will typically charge off a debt, or have it written off as a loss for tax purposes. This doesn’t mean that the consumer isn’t responsible for this debt, and creditors can continue to seek payment, whether they attempt this directly or solicit the assistance of a collections agency. 25.What Exactly Can Be Deleted Or Corrected On My Credit Report? You do not have to suffer from inaccurate credit for seven to ten years. As long as you think that the information on your credit report is inaccurate you can dispute for accuracy or verifiability of your questionable credit listings. Millions of people reported having inaccurate information in their credit report including misleading and inaccurate public records. Identity theft, mistaken identities, and many other factors can result in showing up on your Credit Reports when it should not be there, destroying your personal Credit reputation. According to recent reports, as many as 79% of consumer credit files contain inaccurate items. Inaccuracies, especially ones that are harmful to your credit scores, can lead to higher interest rates on loans and credit cards or denials for new credit. 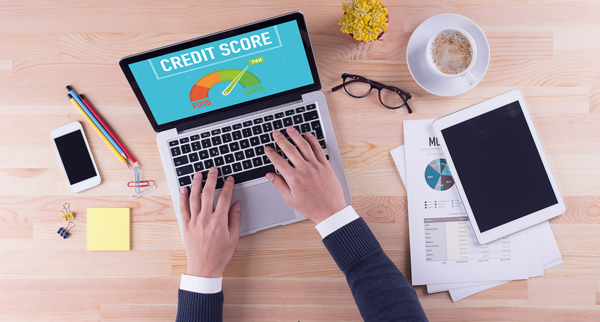 Credit Umbrella’s main focus is to provide you with a powerful software that contains powerful dispute letters and credit repair training videos so you can dispute and remove those questionable and inaccurate items from your credit report. 26. How Much Can I Really Save By Having Good Credit? Whether it’s buying a home, auto, or even just day to day credit cards, having a good credit report is very important. Bad credit and a home mortgage A typical home can cost over $100,000 more in interest if you are buying the home with bad credit. If you had good credit, your payment on a $100,000 loan might be $600, whereas with bad credit it could be $1,100. In this example, you could save $500 a month with good credit. Bad credit and an auto loan A car could cost you $100 more a month due to bad credit. For example, if you had a $20,000 car loan, it would cost you about $400 a month, but with bad credit almost $500. That’s an additional $6,000 over 5 years. Bad credit and credit cards If you have bad credit, most major credit cards will deny your application. The only credit cards you’ll be able to get are those with monthly fees, low credit lines and high set up fees. 27. If I Pay Off Delinquent Loan, Will That Negative Item Automatically Be Removed From My Credit Report? The answer is no. Even if they are paid, once delinquent items will still show up as negative on your report and potential creditors will penalize you for these. Remember, the goal of a credit report is to show your past history. So even if you pay off all your debts, this can have little to no effect on your credit score. 28. If A Negative Item Is Deleted, Can It Ever Reappear? A “soft delete” is done when a credit bureau temporarily deletes a negative listing if they haven’t heard from a creditor after about 30 days after it’s been questioned. However, if the creditor responds a few weeks later, that negative item can reappear. 29. What Are The Consumer Credit Repair Laws? Many consumers feel helpless when it comes to their credit because they feel as though there are more laws against them than that protect them. The great news is that there are many different laws in place to help protect you, the consumer, from many different issues or acts depending on your situation. You should know and understand these laws to ensure that you are being treated fairly. 30. If You Have A Lot Of Good Credit, Will That Balance Out The Bad Credit? It doesn’t matter how much good credit you have, potential creditors are only concerned about bad credit. In fact, most will simply read your credit score, which is compiled by all the negative items on your report. Just a few negative items can dramatically increase your interest rate on any home or car loans or can deny you credit altogether. 31. I Thought A Bankruptcy Gives You The Opportunity To Start Over? While a bankruptcy may help you remove debt or manage your finances, it doesn’t clean up your Credit Report. And the negative impact a Bankruptcy has on your Credit Report is huge. Also, because it’s a matter of Court Records, to remove all traces of a Bankruptcy is extremely difficult. 31. Is It True That Negative Items Must Remain On Your Report For 7 Years? No. The law simply states that a negative item can only stay on for a maximum of 7 years, with the exception of bankruptcies that can remain for up to 10 years. However, credit bureaus can choose to delete the negative credit listing at any time, especially when you provide them with a valid reason for doing this. According to Fair Credit Reporting Act, you can dispute any information on your Credit Reports that you believe is inaccurate, incomplete, unverifiable or outdated. If the credit bureau or the creditor is unable, unwilling or unavailable to verify that a credit item is accurate and timely, it must be removed from your credit report. However, If you feel a negative credit item is 100% accurate and timely, you do not have the grounds to question this item with bureaus. Only the passage of time can assure bureau removal. 32. Can You Explain The Fair Credit Reporting Act? The Fair Credit Reporting Act (FCRA) regulates how Credit Bureaus treat Consumers. In the early 1970’s, before this law, Creditors were free to do whatever they wanted and often made their judgments about Consumers based on their race, religion or even color. The worst part was that many of these reports were confidential, so a Consumer would never know why they were charged a higher interest rate and couldn’t even defend themselves against such an injustice. The FCRA ensures that Consumers can acquire their Consumer Credit Reports at a reasonable price, regulates who can acquire a Consumer’s Credit Report and enforces a maximum time limit in which a certain item can be listed on a Credit Report. (Most items can only be listed for a maximum of seven years, while a Bankruptcy can be listed for ten years.) Also worth noting, Credit Reports are not official government documents, and Credit Bureaus are not official government agencies. Lastly, Credit Bureaus are required to handle all Consumer Complaints in a timely manner, usually within 30 days. After their investigation, they must notify the customer of the new status of this item, whether it was confirmed, modified or deleted. 33. How Can I Restore My Own Credit? Contacting credit bureaus with your dispute is the easiest and most popular way to restore your credit score. Once the bureaus receive a dispute letter, they must remove the negative item, or provide proof for it within 30 days of receiving the letter. Another, more complicated way to remove negative items from your report is to directly contact credit bureaus and negotiate the removal of the items. 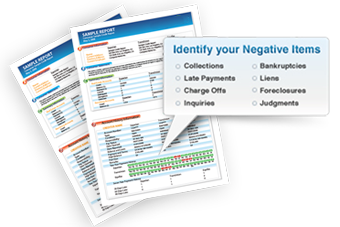 Creditors have the power to delete negative items from your credit report at their own discretion. More agreeable creditors might remove or modify a negative item if they are simply asked to do so. For those creditors who are less agreeable, under the above-stated Acts, we are able to provide you with tools so that you might compel the credit bureaus to prove the legitimacy of the alleged negative items. By using their legal rights granted to them in the FCRA, many people have restored their credit, raised their credit score, and achieved their financial dreams! 34. Is It Possible That Removed Negative Items Could Reappear On My Credit Report? Sometimes, it may take credit bureaus more than 30 days to compile valid proof for your negative item. On rare occasions, the negative item that they were forced to remove due to insufficient evidence 30 days after they received a dispute letter will be returned to a credit report. In these cases, the Fair Credit Reporting Act (FCRA) requires that they inform you in writing within 5 days of the reinsertion of the negative item to your credit report.